A range of locally sourced, organic and natural products were on offer at the See Sharp Fest being held at Ashvem Beach. India's first ever sustainable living and learning festival, See Sharp Fest is committed to spreading the word on green living and adopting a natural lifestyle. From handmade bags made out of waste material to organic textiles, handmade soap made out of waste oil and a clothing line for children till the age of 5 years made out of natural organic fabric, the range of environment friendly, sustainable products was astounding. 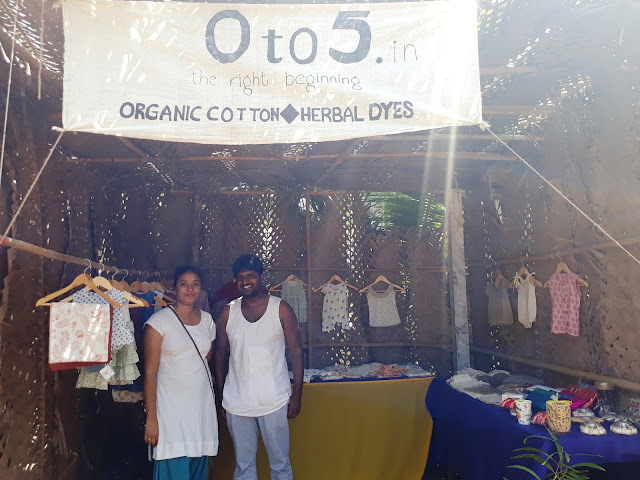 Said, Hyderabad based Swathy Minakshi who owns the baby clothing brand 0to5, “Our range of baby clothing is made using only organic cotton and herbal dyes. Our daughter was the inspiration behind the creation of this brand”. Swathy’s husband Abhinav Gangumalla is involved with organic farming. The couple strive to lead an environment friendly lifestyle as much as possible. When their daughter was born, the couple realised that it was close to impossible to find affordable, organic clothing for children. That’s how 0to5 came to exist. Nicobar, a lifestyle design studio with offerings ranging from clothing to homeware and travel accessories showcased their newest collection. Inspired by journeys across the Indian Ocean, in Nicobar one can find a contemporary collection that is fresh, aspirational, and curious about the world. 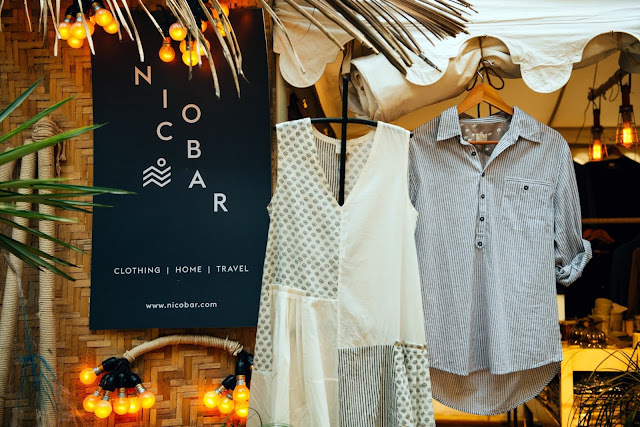 Nicobar is a design brand for everyday living, making clothing, homeware, and travel accessories that are designed to be loved, and built to last. The philosophy is in sync with See Sharp festival, where the focus is on green living and learning. At the Nicobar pop-up, one could find the newest collection, a line that looks east for inspiration, and to the origin of the sun: Japan. From timeworn patching and mending techniques that are borrowed to make own products, to infuse classic symbols of the fascinating culture with freshness, Nicobar Edit has let their travels inspire a season’s worth of easy spring and summer living. Members of the design and content teams were present during the fest to walk one through the different collections or help with a purchase. The Women’s wear line is soaked in a palette of soft blue and white; soft cotton is at the core of the new collection, and now-classic silhouettes that have been given new life in these fabrics. The Home collection line is thoroughly global, entirely modern, and designed to bring zen to urban dwellings. It will see sometsuke blues, inspired by those distinctive blue-and-white ceramics that are so intertwined with Japan. While the Travel collection line puts utility first. Chic and multifunctional, the travel collection is going places, inspired by motifs collected on voyages (to Japan and elsewhere), and by all of Japan’s blues, from deep indigo through to sky blue. For the very first time Nicobar Edit brought the Resort collection which is intended for year-round travels to sun-soaked places. From soft, floaty dresses and easy jumpsuits to skirts that can easily change from beach to dinner wears.